As Americans tuned in to the GOP Presidential debates, they also turned to social media channels to post reactions. Buzz about the two rounds of debate peaked between 7 and 8 p.m. EST driven by recaps of the first debate highlights and build-up to the second debate with GOP presidential candidate frontrunners. Commentary included discussion of the CNN debate format itself. Some were confused as to why candidates were divided unevenly: four candidates in the first debate and eleven in the second. 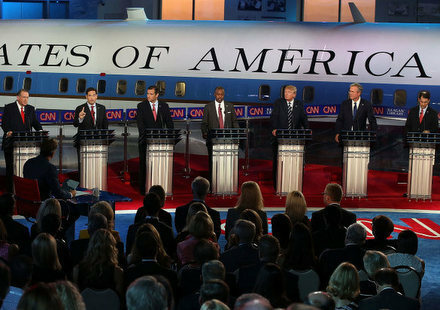 This unbalanced division caused many to note that there were too many candidates on the stage in the second debate. Commentary about the moderators also surfaced, including questions about why there were only three moderators when Jake Tapper did all of the speaking. Others noted the lack of control of the moderators and their inability to reign in candidates for speaking over time, or inconsistency in the duration of time they permitted some candidates to speak versus others. There was criticism by a few who believed that moderators interrupted the candidates when they began to speak to topics that were actually interesting. Want to understand the social discussion surrounding your brand? Request a demo of Cision Social Edition! Donald Trump had the highest share of social discussion of the GOP presidential candidates, accounting for more than one-third of buzz. Conversation varied widely, ranging from support of the candidate, to criticism, to general disbelief that he had gained so much traction. The #trump2016 and #donaldtrump hashtags surfaced highest in Twitter buzz. 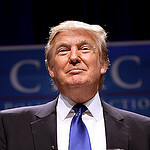 Prominent terms in discussion included the “Make America Great” campaign slogan, as well as Tom Brady references, given the football player’s recent endorsement of the candidate. Tracked debate topics accounting for the highest share of buzz for Trump included immigration (30 percent) and policy for the Middle East (29 percent). 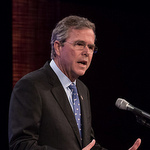 Terms surfacing high in discussion for Jeb Bush included hashtags #jebbush and #allforjeb, as well as names of other top GOP candidates, namely Donald Trump. Other top terms included references to his admission of smoking marijuana, with the #420 hashtag also surfacing prominently in conversation. Trump comments focused on Bush’s attack on Trump for allegedly trying to bring casino gambling to Florida, as well as banter about Bush and Trump being less qualified to speak to women’s rights than Fiorina. Policy in the Middle East accounted for the highest share of discussion among tracked topics for Bush (49 percent). Want to see how politicians shaped the social buzz around vaccines? 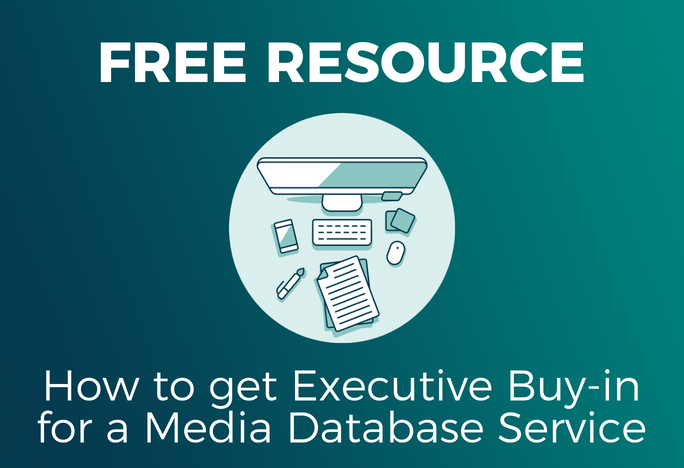 Get our free white paper today! 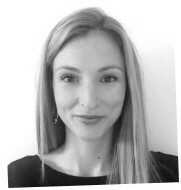 Caitlin Jamali joined Cision via the acquisition of VisibleTechnologies in September 2014. As a Senior Research Analyst, Caitlin helps some of the world's leading brands derive meaningful insights from social and traditional media, with a focus on brand health, consumer insights and media effectiveness. Her work spans various industries including Financial Services, Pharmaceuticals and Media. Caitlin speaks Spanish and lives in the Boston area with her husband and two children.